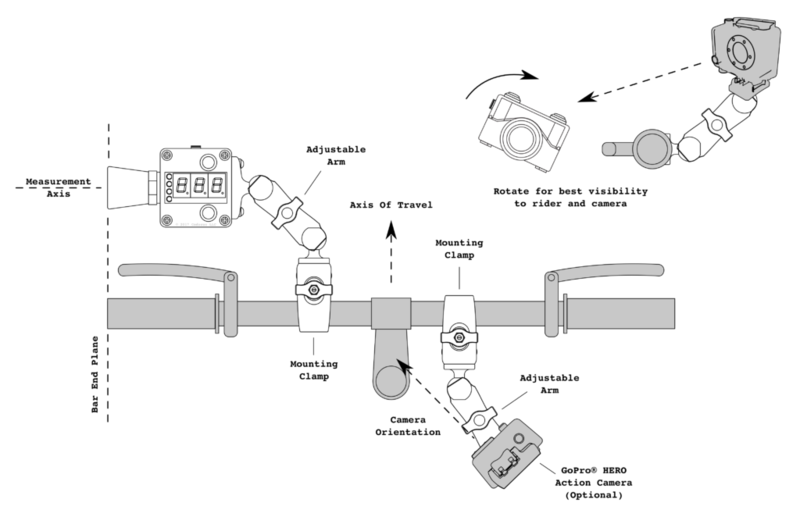 The Physics Package™ C3FT™ is a bicycle-mounted electronic system designed for the purpose of detecting, capturing, and displaying the proximity of passing vehicles. It is compatible with most typical bicycle configurations and no special equipment is needed. Primarily designed for law enforcement and municipalities which have or are considering safe bicycle passing laws, its accurate distance measurement can serve as the basis for driver education or citation activities. It also provides a new and powerful capability for roadway safety surveying and infrastructure planning. 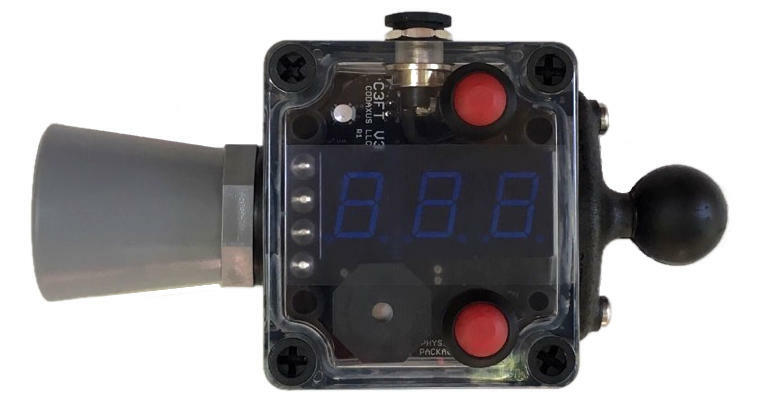 C3FT™ uses a sensitive ultrasonic detector on an adjustable arm to provide a fast, reliable distance measurement on a high-brightness numeric display. Buzzer and LED indicators alert the user when a passing vehicle triggers a preset distance threshold. An external device is required for data recording and the system includes an adjustable mount for an optional video camera to document the distance display, facility layout, and traffic activity. The current generation of C3FT (see-three-feet) was introduced in July of 2017 and builds on the success of the v2 platform by integrating a range of usability and functionality improvements driven by 2 years of real-world use with feedback from US and International enforcement agencies, municipalities, and advocacy groups. Version 3 was developed to meet the needs of law enforcement by providing an accurate and verifiable method to conduct education and enhanced enforcement activities related to Vulnerable User Laws, more commonly referred to as Safe Passing Laws. Like previous versions, it is also designed to be used for statistics gathering and research related to driver pass and post-pass behavior. Consisting of a single integrated unit, C3FT v3 features toolless installation and removal to simplify deployment and make field adjustment possible. It is designed to deploy on any bike configuration or handlebar style without requiring modifications to the bicycle. 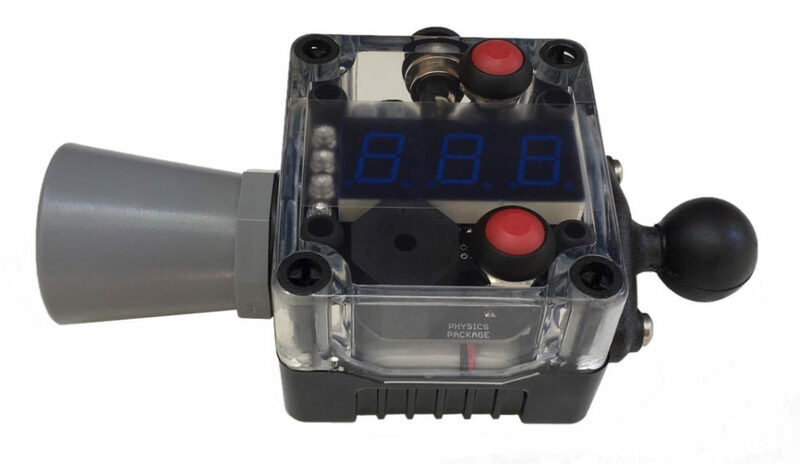 The sensitive ultrasonic detector is mounted on an adjustable arm and provides fast, accurate, and reliable distance measurements which are displayed on a high-brightness numeric display. This measurement and the associated threshold setting is available in either inches (8 – 99) or centimeters (20 – 250) and is user configurable. An external device is required for data recording and the C3FT system includes an adjustable mount for an optional video camera to record the distance display, facility layout, and traffic activity. Featuring a simplified interface, version 3 has been specifically designed to enable users to operate it with minimal training, enable passive monitoring with few distractions, and clear feedback and prompting during and after pass events. Buzzer and LED indicators alert the user when a vehicle passes within the user specified distance threshold. C3FT v3 has been reconfigured to enable handsfree use so that controls are operable without requiring the user to lift his or her hand from the handlebars during and after a pass event alert has been registered. 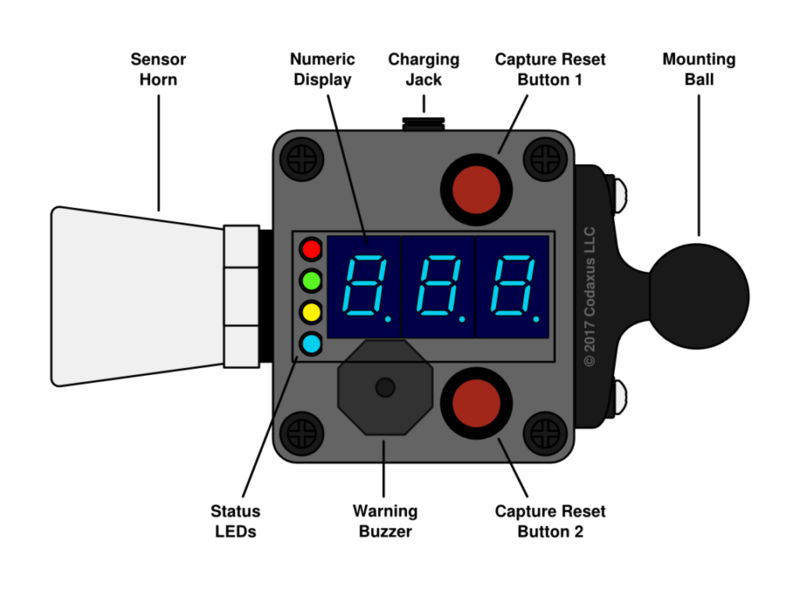 C3FT v3 Sensor Unit layout and configuration. Mounting and suggested alignment diagram for the C3FT v3 system.